The most wondrous thing about nature is the simplicity with which the balance of life is maintained. 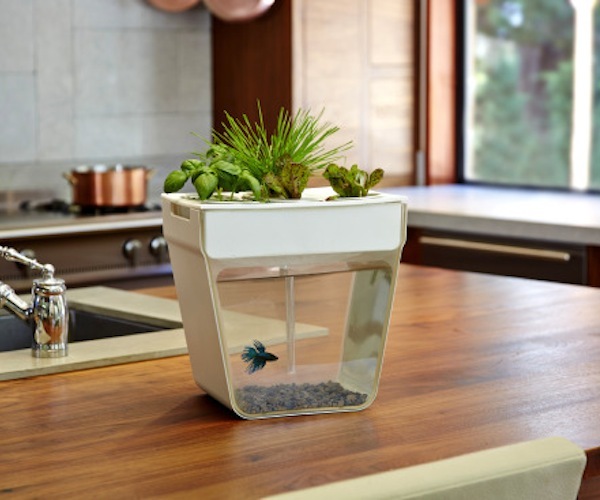 Now you can create this balance in your own home with the help of the Aqua Farm. Plants have their roots in the water, and get their nutrients by extracting the fish waste. The clean water is then recycled back to the fish. There’s no need for soil or fertilizers for the plants, and the fish don’t need to have their water replaced separately.